A Rinkya Blog: Respect for The Aged Day! 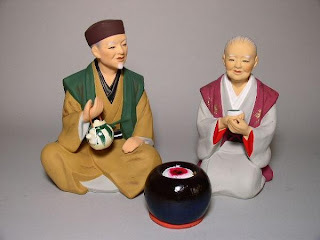 Every year on the third Monday in September, Japan honors its' elders with a special day of celebration- Keirō no Hi, or Respect for the Aged Day. Japan has a very large elder population and the second longest life expectancy of any nation in the world. On Friday, the Ministry of Health, Labor and Welfare announced that Japan has over 30,000 residents over 100 years of age. Take a tip from Japan and drop a line to your loved elders today!